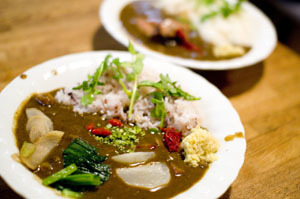 Surveys of Japanese schoolchildren reveal curry to be their very favorite dish, and affection for this ubiquitous comfort food extends into adulthood - along with ramen, curry rice is one of Japan's national dishes. 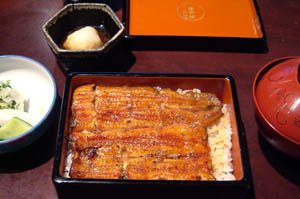 Its presence on menus dates back to the 1870's when first it made its way to Japan via the British navy, which explains why it was originally a type of 'yoshoku,' or classic European cuisine. 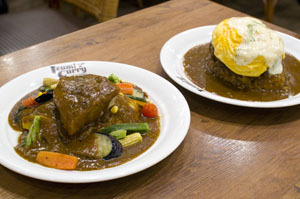 From early in its history, Japanese curry has had its own special character, very distinct from Indian, Thai, Vietnamese, Malaysian, or indeed British dishes of the same name. 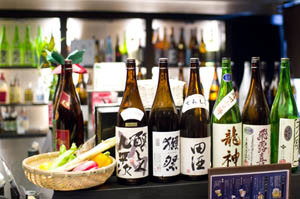 A few different styles are popular in Japan. 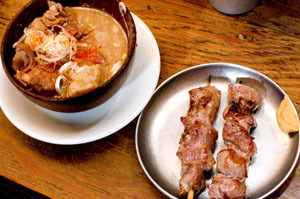 "Oufu" (European) curries are a mix of European and Indian influences - basically the roux incorporates Indian spices simmered in a European-style stew based on meat or chicken stock. 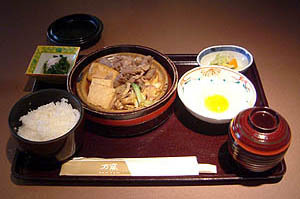 "Indo" (Indian) style curries leave out the stock. 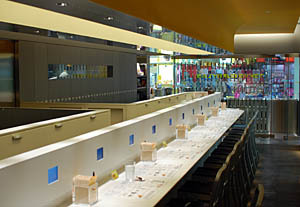 A third category is "original" curries, which can be found on the menus of trendy modern cafes as well as dedicated restaurants. 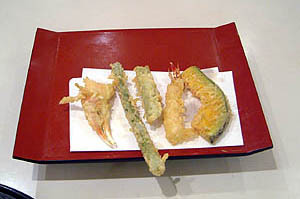 These are often inspired by Thai or other coconut-based curries, and can incorporate a wide variety of vegetables and other ingredients. 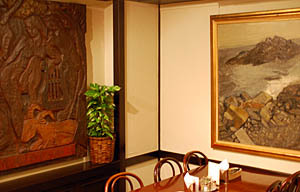 European-style curry restaurants can be especially quirky - the style saw a boom in popularity around forty or fifty years ago, and today original shops from that era can often by recognized by their French-sounding names and classic 1970s-era Japanese coffeeshop decor - heavy wooden tables, white stucco walls hung with paintings, artistic knickknacks scattered about, and bebop-era jazz playing in the background. 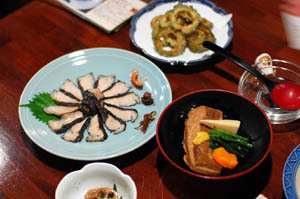 Generally these shops let you choose from a variety of base ingredients (meats and/or shellfish) and toppings (mushrooms, cheese, boiled quail eggs). 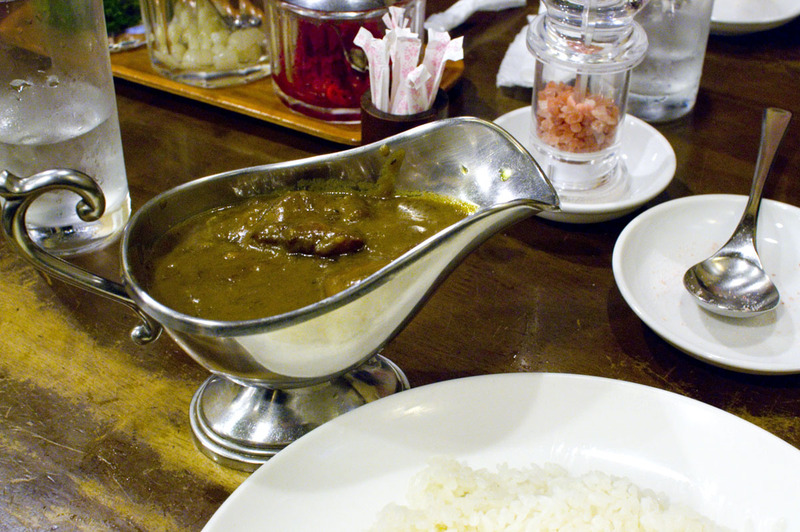 Curries are ladled from a small gravy boat onto a plate of white rice that's dotted with bits of cheese. 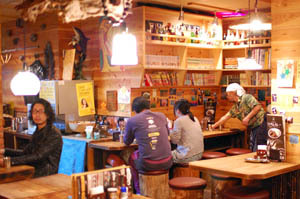 Boiled potatoes and colorful pickled condiments are served on the side. 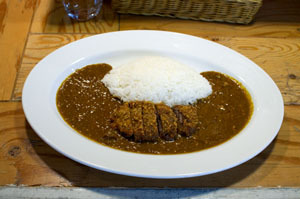 Whatever the style of curry, you will usually be asked how spicy you want your dish. 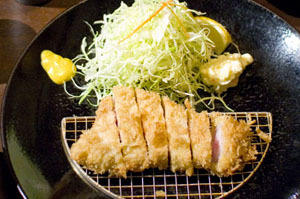 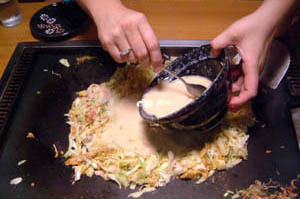 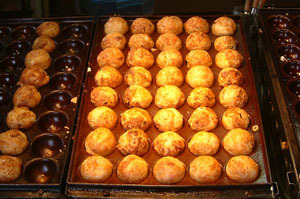 "Ama-kuchi" means not at all spicy, "kara-kuchi" means spicy, and "chu-kara" is somewhere in the middle. 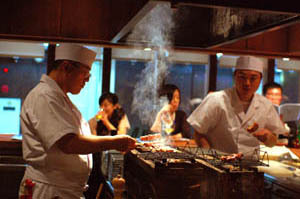 Sometimes there will be several levels of spiciness; in this case there's usually a numbered system listed on the menu, and you can choose your level by number. 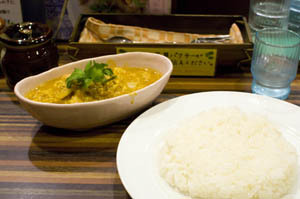 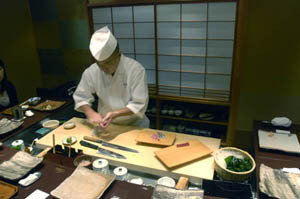 Curries, especially European-style, can often be found in yoshoku restaurants. 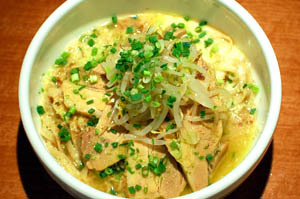 Udon served in a curry-flavored soup is another popular curry-based dish, and is found in both udon shops and specialty curry udon shops.